Thanks for the morning heartburn, HBO. Our long national nightmare is over: Thanks to HBO and Silicon Valley there's finally an app that will tell you if the object you pointed your phone's camera at is a hot dog or not. For fans of the show, it's a cute joke, but everyone else might be a little puzzled. As a brief bit of background, T.J. Miller's character Erlich Bachman accidentally invested in an app he thought had something to do with Oculus, when, in actuality, it was an application with recipes for preparing octopus rather than anything to do with virtual reality. A common mistake, to be sure. That led to pivoting the app to become the "Shazam of food." In practice, the app is actually a lot more useful than Shazam. It correctly identified that my Zippo lighter wasn't a hotdog the first time. Same goes for when I pointed my camera at an acorn squash. I didn't have any hotdogs in my apartment this morning, though, so I tried the next best thing: pre-cooked bratwurst. 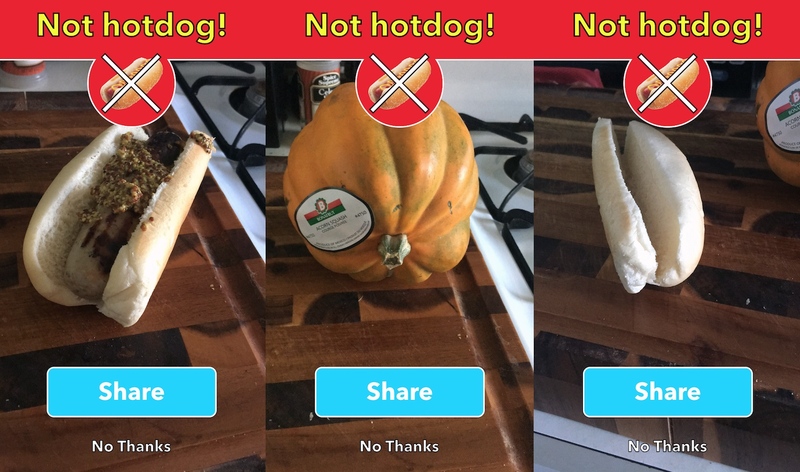 The app successfully determined that even though they look similar -- I even angled my sausage to how it appears in the app -- that my brats were in fact not hotdogs. It's incredible. I've had more success identifying food with the app in 20 minutes than I have had tagging and identifying songs with Shazam in the past two years. I'm trying my best to feign surprise here. Anywho, if you want to judge the app's efficacy for yourself, it's a free download on iOS. As per usual with the show, HBO has blurred the lines between fiction and reality by crafting a listing page for the app on Product Hunt (Not Hotdog creator Jian-Yang even jumped into the comments) and there's a video interview with Jian-Yang on Bloomberg, too. If this doesn't put a smile on your face and acid reflux in your throat on Monday morning, I'm not sure what will. Now, if you'll excuse me, I have a bratwurst and pile of salt and vinegar chips to get back to.